With the advent of high tech buildings, the job of installing the wiring options has become a lot more complex. From a small office to a whole new hotel, it is now likely to involve cabling for audio, video and data transfer in addition to the traditional electrical wiring. Choosing the right cable for the job can be a painstaking business and once installed it had better be right because replacing it can be a real headache. 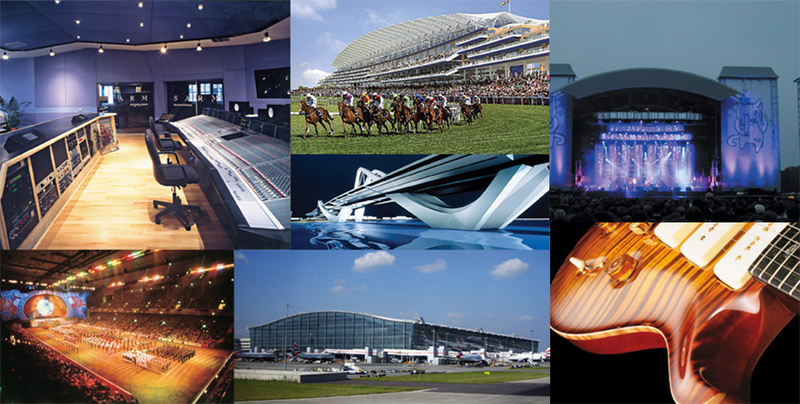 VDC Trading has been a supplier of audio and visual cables since 1979 and started life in the music industry supplying recording studios and live music venues including the legendary Abbey Road Studios which they still supply. Since then they have expanded into data, electrical and optical fibre and are the first stop for a wide range of installers for both the commercial, domestic and even marine sectors. The company’s main product line is the Van Damme cable range. “For new public and domestic buildings the current requirement is for low smoke and zero halogen cable or LSZH.” Starting with the recommended cable for audio links; Nick explained that Van Damme Ecoflex Install Grade Speaker Cable LSZH is a Low Smoke Zero Halogen insulated and jacketed cable range. It’s specifically designed for installation in public venues and other areas where specified ranging from residential, corporate, leisure, sports up to marine installations. It is available in varying formats from two 0.75mm for 100V line to eight 2.5mm for low impedance systems meaning that most speaker applications are well catered for. As with all these cables, they are available as a multicore option for carrying a larger number of feeds using one cable. In many situations the speakers’ cables need to blend in with the environment where they cannot be buried out of sight. For these instances there is a white cable range which also carries data signals; Van Damme White Line Ecoflex is a Low Smoke Zero Halogen (LSZH) jacketed audio 1 pair specifically for installation use. This cable will carry AES/EBU and/or analogue balanced audio as well as paired data signals such as RS485, RS422 and DMX512. As well as the White Line cable, the most popular data cable is Cat 6A data cable, which is used mainly for computer networks and for digital links between different areas for presentation equipment. Increasingly these include video links. Category 6A compliant and specified to 500 MHz, this is suitable for 10G Ethernet and has LSZH, IEC 60332-1 compliant, jacket material. There are three versions: U/UTP cable utilises a special polyethylene cross member to minimise alien crosstalk. F/UTP and U/FTP versions utilise an S foil over 2 pairs for lower overall diameter and weight. Nick points out that most data connections use a patch-bay system which can also be supplied along with the patch cables of the same specification. Finally there is often a need for straightforward video connections, particularly in public buildings. 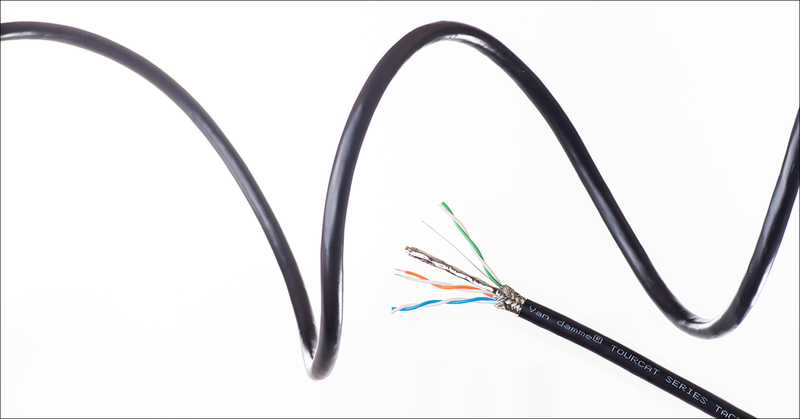 The Van Damme SDI Vision single coax LSZH Ecoflex range of 75 Ohm precision coaxial cables comprises a Low Smoke Zero Halogen jacketed single coax and 6 way LSZH jacketed multicore. As with the Van Damme HD vision range close attention has been paid to their electrical characteristics and tolerances to ensure trouble free performance with SMPTE 259M SDI signals as well as analogue video. These cables can also be used for shorter distance transmission of 1.485 Gb/s HD-SDI. There is a range of multicore options for video too. The HD Vision range of 75 Ohm precision multicore coaxial cables comprises 4 and 6 way PVC jacketed dynamic multicores. Great attention has been paid to their electrical characteristics and tolerances to ensure trouble free performance with SMPTE 292M HD-SDI signals as well as SDI and analogue video. There is also a growing trend towards the use of fibre optic cable thanks to its ability to carry huge amounts of information and channels. VDC Trading has expanded its production facilities to include a Fibre Optic clean room needed to construct and terminate fibre optic assemblies. For broadcast purposes, Van Damme Tourlight fibre optic cables are Tactical Single Mode & Multi-Mode fibre optic OS1 & OM3 deployable fibre cables for outside broadcast and robust studio floor or fibre infrastructure. They are extremely robust, are available in an increasing number of variations and can carry huge amounts of information. Ideally connected by HMA expanding beam connectors, they can withstand the dirt and grime of the outside broadcast environment and the HMA connector is easy to connect as there is no male or female version. They are always compatible. The expanding beam means that the signal at the connector is expanded to such a size that connection is always one hundred percent. Easy to wipe clean and replace if necessary, the HMA connector is becoming a favourite solution to fibre optic connections in the field. One of these cable systems has been supplied to BBC Scotland recently by VDC and interest is growing amongst the OB community. These days hybrid multicores are commonly adopted. 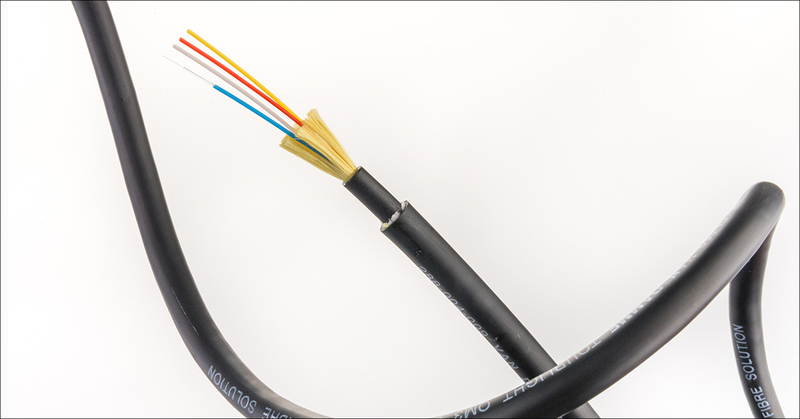 Once only available in one or two formats, the hybrid cable can now be made to a huge range of specifications. A typical combination is 8 channels of audio, two of HD video and two of CAT 6A data. Encased in a rugged outer sleeve, the hybrid can carry all the cabling requirements in one go. Specially built termination panels allow for a faster and simpler set up. They provide provision for network, HDTV distribution via HDMI Cat X converters, control signals and satellite broadcasts. Reliability is everything in the world of cabling. The loss of signal from a single cable can mean a time consuming hunt for the offending cable among many. Each connection and soldered joint is applied according to strict quality controlled standard and checked for faults at every stage of assembly. At VDC a testing station is used to test every cable before it leaves the premises. Designed by the team at VDC, the testing station has a multitude of input and output connectors. Any faulty connection cause the light on the top to flash and, yes, a loud siren to sound. It is a matter of pride amongst the staff to avoid the shame of a failed cable! Nick Chmara concluded: “For some installers the mystifying range of available cable and their requirements can mean a time consuming and frustrating task before the job even starts. Some new hotel builds we have supplied require literally miles of cable.” VDC as well as our distribution partner at FACE pride ourselves on providing free advice and ensuring that we supply the right product for the job, so don’t be afraid to ask.